3 Bedroom Detached House For Sale in St Ives for £715,000. 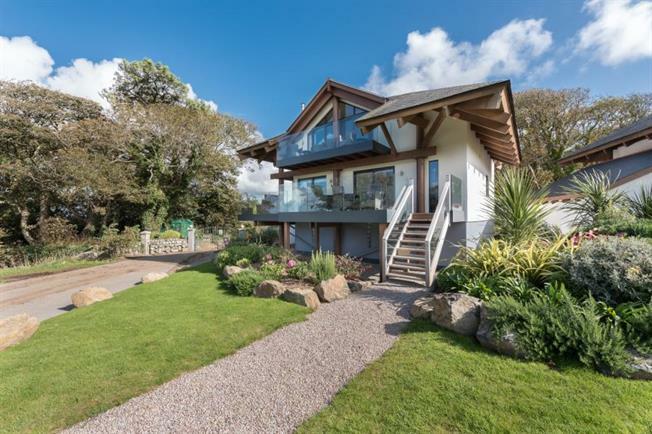 A simply outstanding opportunity to acquire an extremely stylish, very contemporary home situated in the sylvan setting of the Tregenna Castle Resort. Home 3 Castle Approach is designed and built to an extremely high standard, with well laid out accommodation that is sure to delight. The property is detached, and overlooks the grounds of Tregenna Castle, with views from the wide terrace to St Ives Bay, and with an adjacent garage and additional parking. There are three superb bedrooms, sumptuously appointed bathrooms, and a fantastic open plan living area with vaulted ceiling, and access to a wide terrace. A superb property, unhesitatingly recommended and an early viewing is urged. Ring us now for further details of this property. Please note, images showing are of the show home and not of this actual plot. final finish subject to change. Please refer to floor plan for correct layout of this plot.